Just several days into the greatest sports blog this city has ever seen we’ve ran into our first moral dilemma. i’ve been vomiting for hours and I can not stop crying. Not since “Sophie’s Choice” has anyone ever been at such a crossroads in their life. I’ve been punching holes in just about all of my house’s walls for hours now, but I’m still at a loss for what to do. Please, before I reveal this horrid development, forcefully remove any child reading this from his/her computer and lock them in the basement with an orange for the next 45 minutes, this is adult business and I don’t want them to see their guardian weeping openly at their computer. David Coggin, the man (the myth, the legend) this blog was founded on, has blocked me on Twitter. 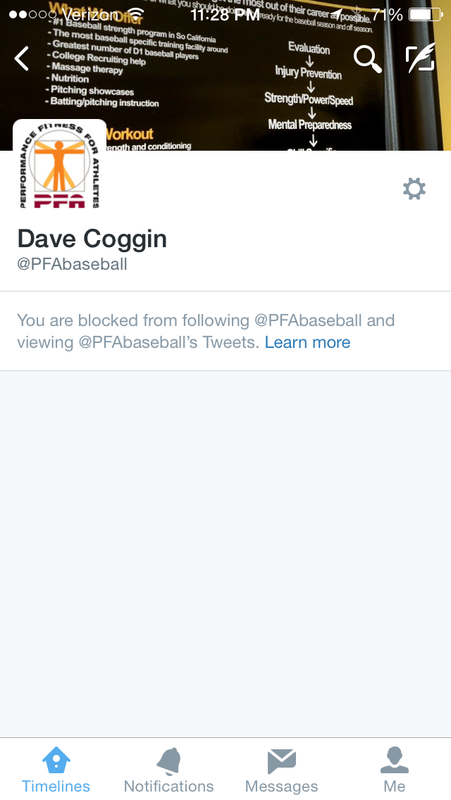 Let me repeat that….DAVID COGGIN…the greatest pitcher the Phillies have seen in the last century….blocked the founder of this blog on Twitter. It’s too painful. Was it the toboggan references? Depicting you as a gun toting alcoholic, carrying a grudge against Philadelphia? Were you working on a blog of your own and didn’t want to compete with a superior, already established site? DAVID YOU OWE ME THIS MUCH…JUST LET ME KNOW. We shall plug on. We didn’t found ourselves on the man himself, but for what he stood for…moderately amusing observations and a gigantic waste of time.